Does this address ring a bell? Yes, elementary my dear Watson! It is the residence of the most famous detective of them all: Mr. Sherlock Holmes. 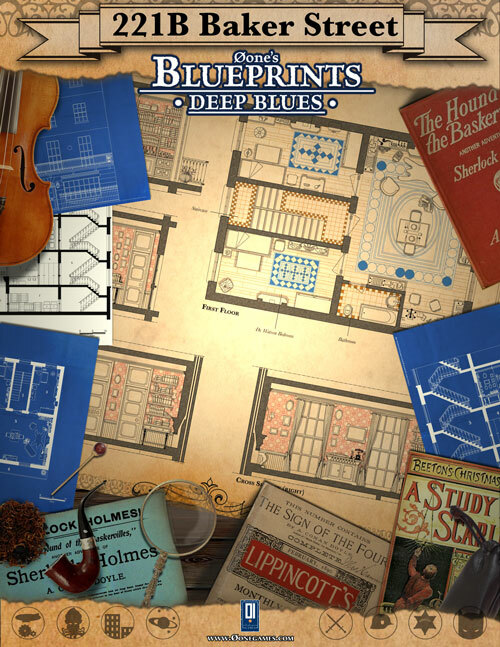 This gorgeous and detailed Deep Blues Blueprint brings to you Sherlock Holmes’ house in great detail!. Sherlock Holmes is a fictional character born from the pen of Sir Arthur Conan Doyle in 1887. For more than a century Sherlock Holmes’ adventures fascinated people and spawned a great number of novels, movies, games and more. 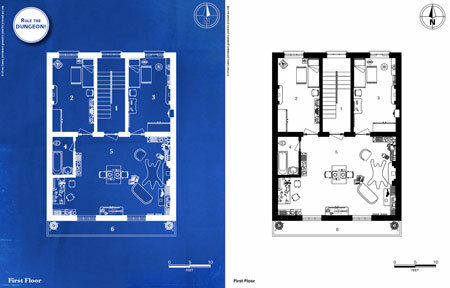 In this Blueprint we present our take on the Sherlock Holmes’ house, based on Doyle’s writings, on movies and games. We decided to add more details to the study, where most of the adventures start. The featured poster map included in this product comes as a 25,5 x 22 inches sheet and fractioned in six 8,5 x 11 inches sheets, allowing you to print it on a conventional printer or take the file to a print server to output a gorgeous Sherlock Holmes' poster map.